Rory McIlroy will have the choice of representing Great Britain or Ireland at the 2016 Olympics if he wants to, despite comments from the R&A implying he may only be eligible for Ireland. 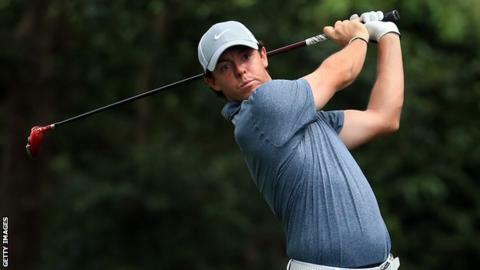 Royal & Ancient chief executive Peter Dawson said "there may be an Olympic regulation" saying McIlroy can only represent Ireland in Rio because he has played for them in two World Cups. But the International Olympic Committee cited a rule saying if three years have passed since he represented Ireland, the 23-year-old could play for Team GB. The world number two's international dilemma comes from the fact that athletes born in Northern Ireland are eligible to represent Great Britain or Ireland at Olympic Games. McIlroy said in January that he could opt out of the Olympics to avoid the difficult decision. The Olympic Charter states: "A competitor who has represented one country in the Olympic Games, in continental or regional games or in world or regional championships... and who has changed his nationality or acquired a new nationality, may participate in the Olympic Games to represent his new country provided that at least three years have passed since the competitor last represented his former country." With the Rio Games three years away, this would mean McIlroy could represent either country there as long as he does not play for Ireland again in a tournament, although the rule also adds that the "period may be reduced or even cancelled". He has previously represented Ireland in two World Cups, but that matter is further complicated by the fact that the Golfing Union of Ireland is the authority for the entire island, and it is therefore the only country he could compete for as England, Wales and Scotland all play as separate teams. McIlroy said he "felt more British than Irish" in September but then denied that meant he automatically would represent Team GB. He told the BBC in January that "if there was a Northern Irish team I'd play for Northern Ireland". Of his options, he added: "Play for one side or the other - or not play at all because I may upset too many people… Those are my three options I'm considering very carefully."